Nikon is releasing a new wallet-friendly point-and-shoot camera, the COOLPIX S32. The new compact is waterproof down to 33 feet and shockproof up to 5 feet. The camera features a 13.2MP CMOS sensor, a 3x optical zoom lens, a 2.7" LCD display, 1080p Full HD video recording, and various scene modes and effects. The camera is expected to be available in March at $129.95. 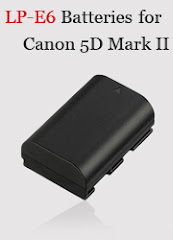 For the complete list of accessories, please see Nikon Coolpix S32 Accessories. MELVILLE, NY – Today, Nikon Inc. announced the family-friendly COOLPIX S32, a fun and durable compact camera that practically anyone in the household can use. Ready to endure the elements of nearly any family outing, this sturdy point-and-shoot is waterproof (up to 33 feet, 10m) and shockproof*(1) (up to 5 feet, 1.5m). The S32 also includes a 2.7-inch (6.7cm) LCD display with an intuitive graphic user interface that makes photography easy for every family member, and the durable body will help ease worried parents’ minds. Users can relive the memories of a family vacation through beautiful photos and Full HD (1080p) videos thanks to the S32’s 13.2-megapixel CMOS sensor and 3x optical zoom that help to deliver clear images and video, rain or shine. The family can enjoy their favorite moments together with unique playback options, including an in-camera slide show. From taking the first photo of an annual vacation to laughing over a short video at the end of a fun day, the COOLPIX S32 makes photography a family affair. The S32 also includes user friendly features like Motion Detection, Smart Portrait System, as well as Scene Modes and Effects, which will help capture and create that special moment with ease, regardless of which family member is behind the camera. 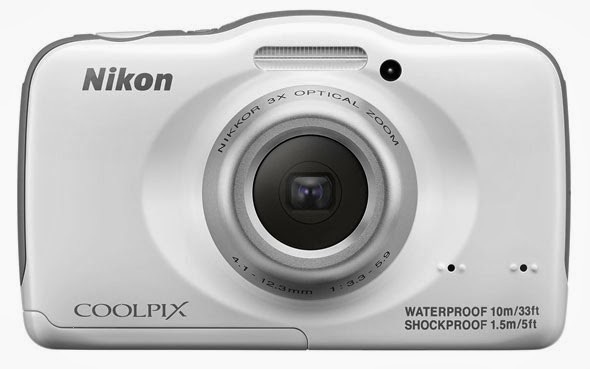 The COOLPIX S32 will be in available in March 2014 in White and Blue for a suggested retail price (SRP) of $129.95*.